（旧）日本家禽学会誌は英語論文と日本語論文の両方を掲載し，第1巻から38巻まで発行された（1964年から2001年）。その後、学会誌は英文誌のThe Journal of Poultry Scienceと和文誌の日本家禽学会誌（Japanese Journal of Poultry Science）に分けて発行されている (2001 - 現在). Microcystins (MCs) are included in drinking water and a family of cyclic heptapeptide hepatotoxins that have been implicated in the impairment of liver function in various animals. There is scarce information on the effect of MCs on cytokines and apoptotic gene expression and on whether MCs can induce inflammation and apoptosis in avian hepatic tissue. This study investigated the expression of genes related to proinflammatory interleukins, apoptosis, and antioxidant function in chicken liver tissues cultured in the presence of different doses of microcystin-leucine-arginine (MC-LR). Livers were collected from five hens and liver slices were placed in sterile tubes containing Dulbecco&apos;s medium supplemented with 0, 1, 10, or 100 ng/mL of MC-LR. After 6 h of cultivation, total RNA was extracted and quantitative PCR analysis was performed for interleukin genes (IL-1β, IL-6, and IL-8), TNF sf15, an apoptotic gene (caspase-3), and genes involved in antioxidant function ([catalase [CAT ], glutathione peroxidase [GSH-PX ], and superoxide dismutase [SOD]). Liver tissues in each group were fixed for histopathology. MC-LR downregulated the mRNA levels of IL-1β, IL-8, and TNF sf15 as compared to the control (0 ng/mL) in dose-dependent patterns; however, the differences were not significant. The expression of IL-6 in liver tissues exposed to 100 ng/mL of MC-LR was significantly (P<0.05) lower than that in tissues exposed to 1 ng/mL. In contrast, MC-LR upregulated the mRNA expression of caspase-3 and genes involved in antioxidant function in the liver tissues after 6 h, without the difference reaching statistical significance. Hepatocytes showed vacuolar degeneration and focal necrosis according to the dose of MC-LR. This study highlighted the risk of low doses of MC-LR in chicken liver. Moreover, MC-LR could modulate the transcriptional patterns of at least IL-6 in liver-tissue culture of chicken after 6 h of exposure. Gross, histological, and immunohistochemical changes in the combs of chickens after bile duct ligation (BDL) are described. Gross reductions in comb size and volume and lower serum testosterone levels were evident in chickens after BDL. Histologically, atrophic combs were characterized by reduced blood capillary diameter, decreased acid mucopolysaccharides, thinning of the stratum germinativum of the epidermis and dermis, and reduced immunostaining intensity of androgen receptors. These results suggest that the affected cells in atrophic combs are androgen targets. BDL caused testicular atrophy in chickens, a primary complication of liver disease, and the resultant low serum testosterone levels subsequently caused atrophy of the comb. In other words, the atrophy of the comb observed in BDL chickens was a secondary complication of liver dysfunction that simulated the effects of liver disease. The aim of this study was to investigate the effects of olive leaf and marigold extracts on the apparent total tract digestibility (ATTD) of the principal nutrients and energy, as well as on mineral utilization (Ca, P, Mg, Mn, Fe, Cu and Zn) in relation to bone characteristics in broilers fed walnut- or linseed oil-supplemented diets. Thirty-six 12-day-old commercial broilers Ross 308 were reared in metabolic cages, assigned to one of the six dietary treatments (3 × 2 factorial design): three supplements (not supplemented, olive leaf extract, or marigold extract), and two oils (walnut or linseed oil). The results showed that the marigold extract reduced Zn and P balances and tended to lower the balance of ash and Mg, and the ATTD of Zn and Mg. Diets with linseed oil increased the ATTD of acid detergent fiber and reduced the ATTD of the organic residue and Cu. No differences in the bone characteristics of tibia were observed between treatments. These results indicated that the inclusion of marigold extract had a negative effect on the Zn and P balance, and that neither extract had any major effect on the digestion and utilization of energy and other investigated nutrients, or on bone mineralization, irrespective of the oil source included in the diet. 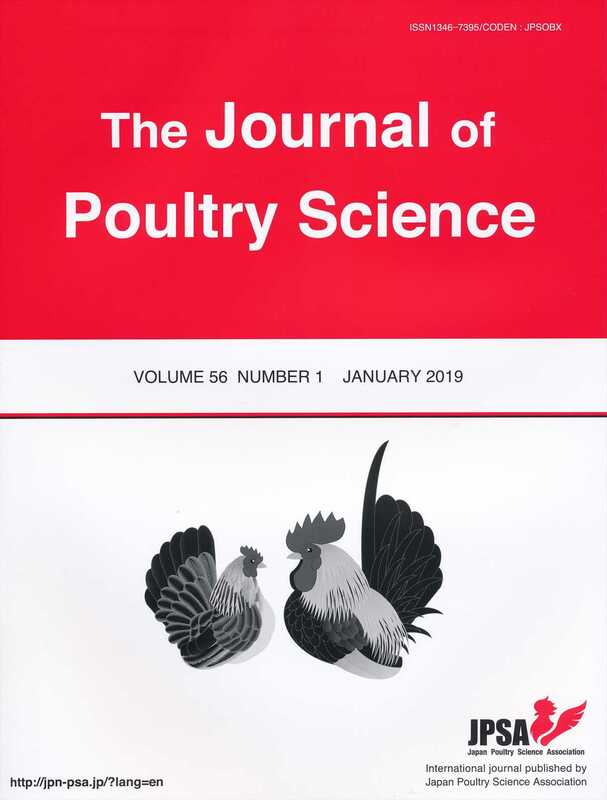 Two experiments were conducted to evaluate the usefulness of urinary creatinine levels as a criterion for the estimation of protein and amino acid requirements in poultry. Here we studied the effects of dietary precursor levels of creatinine, methionine and arginine, on urinary creatinine excretion in experiments. Both experiments used 15 Chunky broilers chicks that were 8 days old. The chicks were assigned to three dietary groups, with five chicks each, and were fed an experimental diet for 7 days. The experimental diets mainly consisted of corn and soybean meal, and contained deficient, adequate, or excessive methionine and arginine levels in experiments 1 and 2, respectively. Excreta were collected for the last 3 days of the feeding trial, and chicks were terminated by dislocation of the neck at the end of the feeding trial to collect their livers. Creatinine concentration in the excreta and hepatic L-arginine-glycine amidinotransferase (AGAT) activities were determined. Urinary creatinine levels increased with increasing both dietary methionine and arginine levels from deficient to adequate recommended by Japanese feeding standard (P<0.05), and then remained constant in experiments 1 and 2, respectively. The hepatic AGAT activity decreased when both dietary creatinine precursors levels were increased from deficient to adequate levels (p<0.05), and then remained constant. These results suggested that creatinine excretion was changed with both increasing dietary methionine and arginine, dose-dependently.